Total of 158 vehicles listed in this category. 6.7L V8, Diesel, Automatic Transmission, 4 WD, Dually, 4 Door, 6 Passenger, Cloth Seats, Power Locks, Power Windows, Power Mirrors, Power Steering, Cruise Control, Tilt Wheel, Traction Control, Air Conditioning, MP3 Capability, UBS Input, Satellite Radio Sirius, AM/FM/CD, Running Board, Trailer Hitch, Flatbed 138". 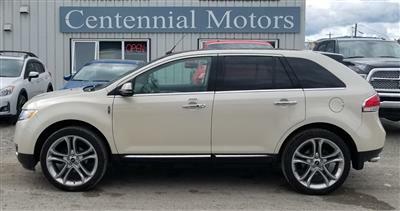 6.6L, Automatic Transmission, 4 Door, 6 Passenger, Steering Wheel Mounted Controls, Tilt Wheels, Cruise Control, Traction Control, Power Steering, Power Windows, Power Locks, Power Mirrors, Cloth Seats, Air Conditioning, AM/FM/CD Player, Bluetooth Connectivity, Factory Tow Package. 3.7L V6, Automatic Transmission, AWD, 4 Door, Seats 5, Leather Seats, Power/Memory Seats, Heated Seats-Driver and Passenger, Cooled Seats, Power Locks, Power Windows, Power/Heated Mirrors, Power Lift, Power Rear Hitch, Trailer Hitch,Power Steering, Heated Steering Wheel, Tilt Wheel, Traction Control, Cruise Control, Back Up Camera, Bluetooth Connectivity, USB Input, mp3 capability, Navigation System, Air Conditioning, Panorama Roof, Fog Lights,Satellite Radio - Sirius , AM/FM/CD. 5.3L V8, Automatic Transmission, 4 WD, 6 Passenger, Cloth Seats, Power Locks, Power Windows, Power Mirrors, Power Steering, Cruise Control, Tilt Wheel, Traction Control, AM/FM Radio, Air Conditioning, Bluetooth Connectivity, MP3 Capability, USB Input, Side Steps, Tow Package, Trailer Hitch, 69" Box.